My husband thoroughly enjoys dyeing Easter eggs and he’s passed the tradition on to our children. 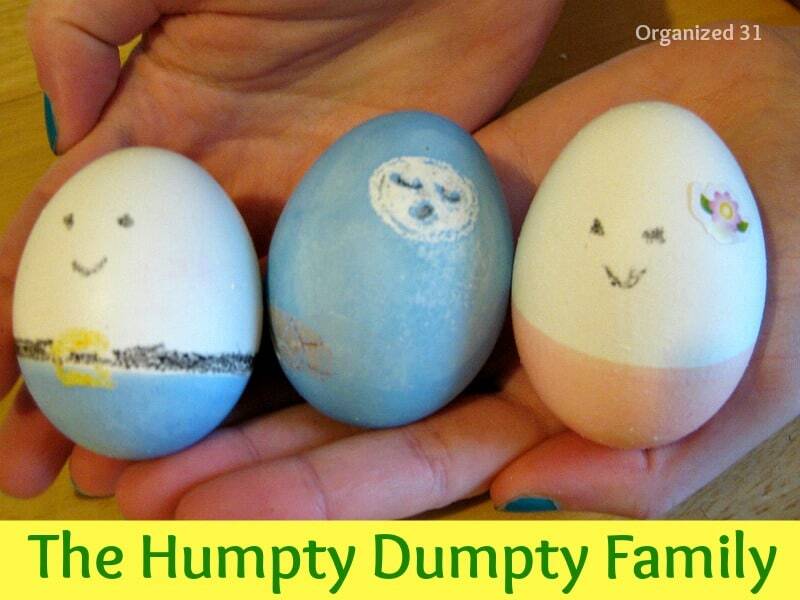 You may remember that last year I shared the Mr. and Mrs. Humpty Dumpty that my youngest daughter designed. We usually dye eggs the day before Easter, so these are photos of last year’s creations. Please let this proud mama share the creations that my children made with dyed Easter Eggs from a store-bought dye kit. 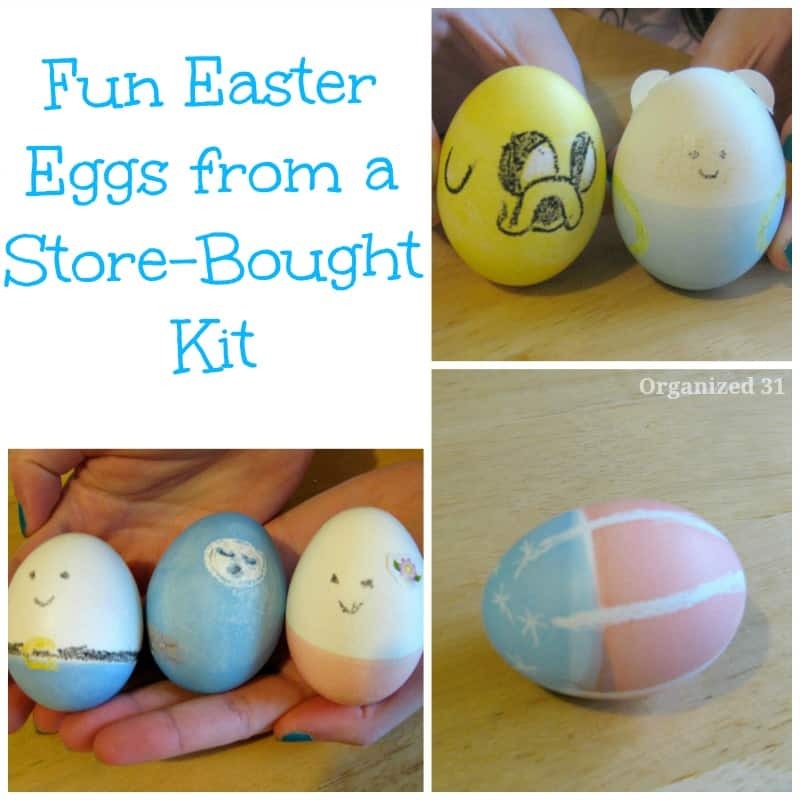 My children used a plain old store-bought dye kit to make these fun Easter egg designs. The key is to use crayons to add details. My son is a big Adventure Time fan and made a Jake the dog egg using a crayon to add details. 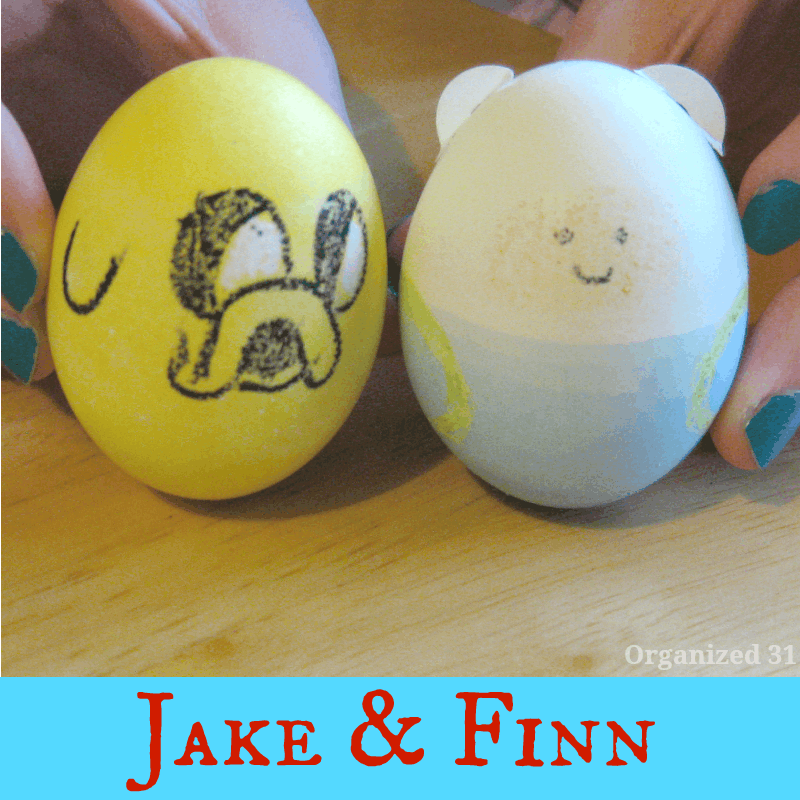 My youngest daughter was charmed by the Jake egg and made a matching Finn egg. She used a paper reinforcement ring cut in half for the ears on Jake’s hat. 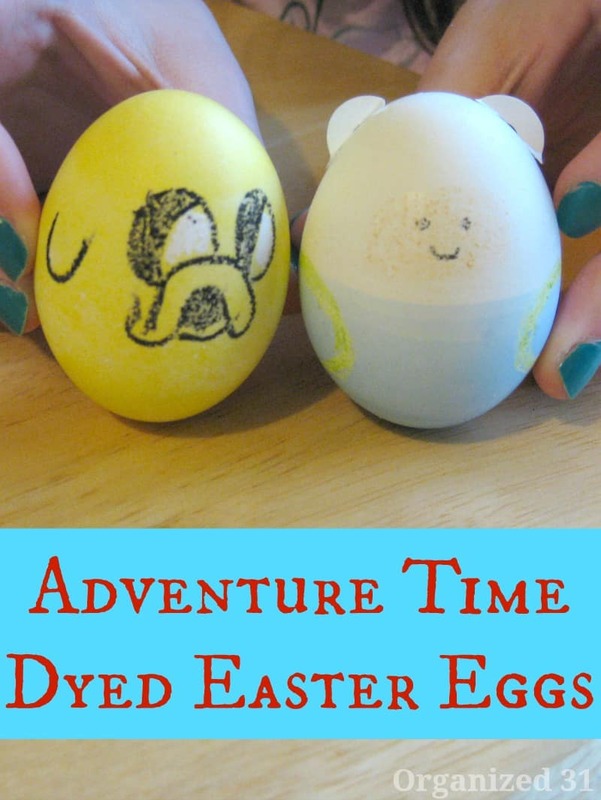 If you’re not familiar with Adventure Time, check out this picture to see how accurate these egg characters are. My oldest daughter warmed my veteran’s heart with her All-American egg. 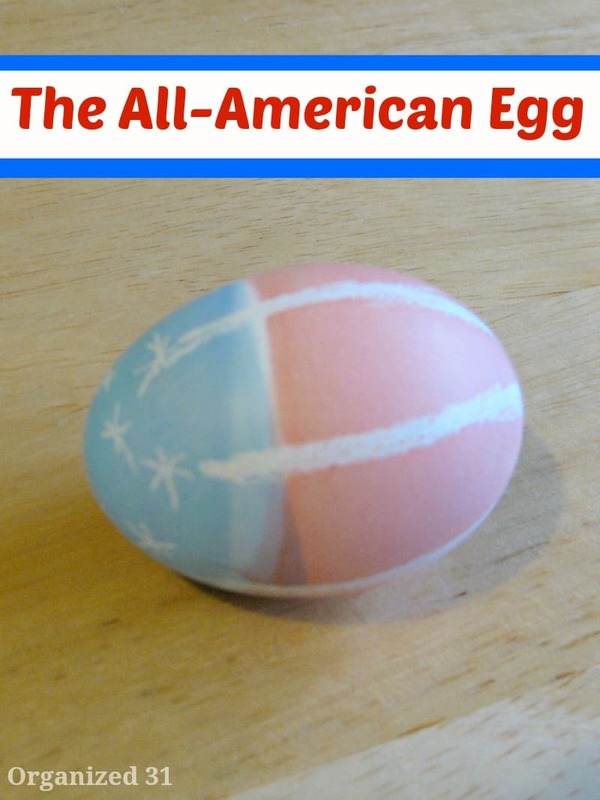 She used a wax crayon to add the details to the egg before dyeing it. These are so cute! I love it when families get together and do things like this. I bet your family had a lot of fun with it. Love these! It’s amazing how creative you can get with a store bought kit! Just stopping by to pin this and let you know I featured it on my blog today!